There are numerous technologies involved in hosting a website, most of which are unknown to its users. In the recipe for good website performance, every aspect counts. After all, the use of the internet grows along with the expectation of the public, who increasingly expect a fast and efficient navigation. Among the technologies involved, one of them concerns the storage of data. Traditionally, the servers use hard drives for this – the famous HD, equally present in personal computers. But a few years ago a new technology came on the scene and is changing for the better not only our personal computers but also servers, being present more and more in large data centers. We’re talking about SSD drives. In this article, we will find out what SSD is, its features and the benefits that this storage technology can bring to your hosting. The acronym for SSD is Solid State Drive. Also known as a flash disk, this device is used to store data permanently and can be found on both personal computers and servers. The SSDs represent an improvement compared to the traditional hard drive, or HDD (Hard Disk Drive). Both devices are designed to store data permanently, that is so that the information is preserved even if the computer is turned off and disconnected from the power supply. But then, what’s the difference between an HDD and an SSD? To find out the answer, it is necessary to understand the characteristics of each of them, as we will see next. An HDD (Hard Disk Drive), also known as HD or simply hard drive, has one or more rotating disks and a mechanical arm. The discs are made of metal and have a magnetic layer, thus allowing the recording of the data. At the tip of the arm, there is an electromagnetic sensor, responsible for reading and writing the data on the disk. In order for information to be recorded or retrieved, the disc needs to rotate and the player needs to be positioned in the exact location where the information is/will be recorded. The read/write time of the information in a traditional HD will be determined mainly by the speed of the disk rotation. On personal computers, it is common to find HDs from 5400 to 7200 RPM (rotations per minute). On servers, disks up to 15,000 RPM are common. In addition to the issue of spin speed, the problem of data fragmentation also needs to be considered. In traditional HD, data recording is done on specific areas of the magnetic disk, called sectors. Because of this architecture, a single file can be stored in parts scattered throughout the hard drive, physically distant from one another. This leads to an even slower reading of the data. To resolve this problem, you need to “defragment” the data from time to time. Modern operating systems do this regularly, without the user having to start the procedure. Still, this can be a problem when the disk is too full, close to its full capacity. Unlike an HDD, a solid state disk (SSD) has no moving parts and all information is recorded and accessed in an electronic circuit. Its architecture is similar to that of a pen drive. However, the speed of access to information is greater than that found on this device. Recording and accessing data is faster on the SSD and there is no problem with having fragmented files in your memory because the access speed is the same anywhere on the device. To get an idea of its performance, the data access speed on an SSD is 0.2 milliseconds, while it can reach 20 milliseconds on an HDD*. This difference may seem small since we are talking about milliseconds. But when it comes to accessing and storing a large amount of data, the performance gain can be significant. SSD was invented decades after the HDD and only about 10 years ago computer manufacturers began to use it on a large scale. The cost has always been a decisive issue for those who need to opt for one of these technologies. In general, the cost of an SSD is higher than that of an HDD. But fortunately, with the evolution of technology, this difference has been reduced to much more affordable levels. As you may have deduced, SSD has several advantages over traditional HD. Let’s know the main ones below. It is important to mention that the features listed here consider the SSD both for home use, such as personal computers and for corporate use, such as servers and data centers. One of the most acclaimed advantages of SSD over HDD is speed. As previously mentioned, the access/record time of information on an SSD can be 10 times faster when compared to traditional HD. That’s why many people migrate from HDD to SSD. In addition to the speed issue, an SSD also has, when compared to an HDD, lower power consumption, and practically zero noise, since it has no moving parts. As previously mentioned, data fragmentation is not a problem with SSDs, since reading data stored anywhere in memory is accessed as quickly. Resistance to vibrations and drops is also higher on SSD. Because it has a read arm, the HDD can be damaged and/or data can be lost if it is shaken or has any impact during operation. This does not apply to SSD, making this device much tougher than an HDD. The storage capacity of a solid state drive is generally less than that found in a traditional hard drive. While it is common to find 1 Terabyte HDDs for home use, SSDs rarely go from 256 Gigabytes to computers with similar specifications. It is true that this difference has been reduced and it is possible to find SSDs of up to 1 Terabyte for the final consumer, but the cost is still higher than an HDD. That way, the cost per Gigabyte is higher on SSDs, which brings us to another point that can be considered a disadvantage: the price. The cost difference between an HDD and an SSD, however, has been declining over time. It is most significant when it comes to personal computers. When it comes to services such as website hosting, this cost is diluted along with a number of other aspects inherent to the business and does not make much difference. Let us understand a little better why to use an SSD hosting! In the same way that SSD technology has reached the general public, the corporate market has also been enjoying the benefits of using SSD. Thus, it is increasingly common to find companies offering SSD storage on their servers, either as an optional or as standard at all level. The great advantage of using an SSD hosting is speed. Reduced access time to data can make a lot of difference in sites and applications that perform many requests to the server and/or database. 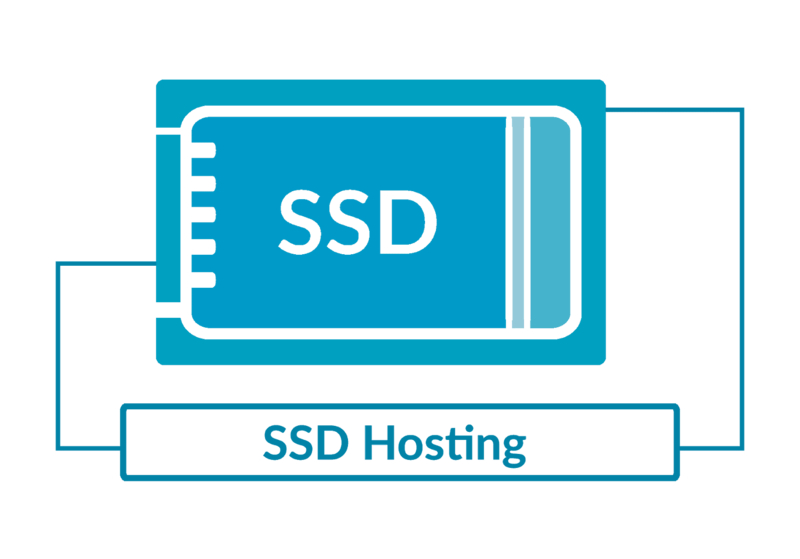 Remember that in a hosting company, SSD storage can be used on both the file server and the database server. Therefore, it is possible to gain performance in various aspects of hosting. 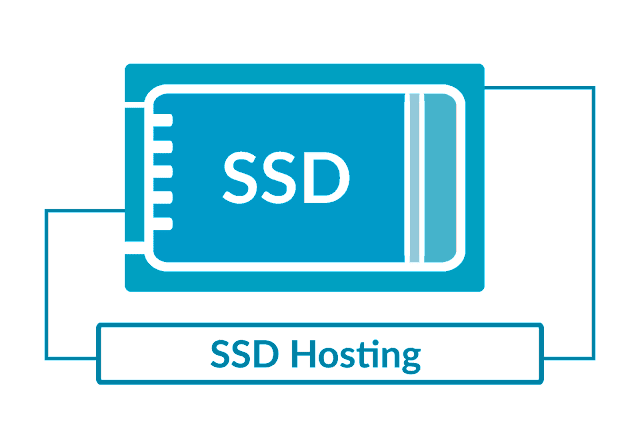 Any site or application that performs a high number of read and write on the server and/or database can benefit from an SSD hosting. In this group, we can mainly include virtual stores, database applications or any online service whose speed of loading and processing of data is important to the business, high-traffic sites, and sites, including those built with content management platforms such as WordPress, Joomla, Magento, and others, are strong candidates for using this technology. Static, low-traffic, non-high-performing sites to serve your audience may not have to worry about using this kind of feature. However, in an increasingly instant world, the good performance of a website is not only expected but can be instrumental in creating a good impression on your target audience. Of course, the good performance of a website is linked to several factors, such as having an optimized application, enough RAM, using features such as cache and CDN, among others.